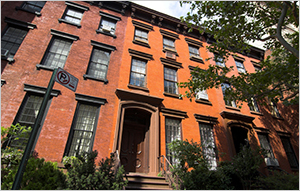 If you are in need of an affordable Brooklyn property insurance policy, give us a call. We will shop and compare rates and spot the perfect policy that will work for you. Within a few minutes you can start saving money! Hunting around for insurance can be complex. However, there is always a good plan for every budget. You can even adjust your voluntary excess and seek for costs with optional features, such as accidental damage, property emergency coverage and legal protection for your family. Think ahead and protect your loved ones. The experts at Max J. Pollack & Sons Insurance can help you save plenty of money and without moving from the comfort of your home. Proceed to compare separate property insurance policies or combined options. While it can be a stressful search, it is worth the time. Find the right policy that is right for your property and for your loved ones. See how much time and money you can save by making a smart choice. Despite what most people think, Brooklyn property insurance does not need to be costly. By comparing, you will find competitive quotes and the best deals. While the car is more prone to accidents, it is catastrophic for a family when they may lose their house due to unexpected events such as a natural disaster or fire, and theft is another constant danger. Unfortunately, the tendency not to secure real state is growing and it has a background that is lack of information, lack of financial literacy and lack of insurance culture. The cost of Brooklyn property insurance is calculated based upon many factors such as the value of your home, security system, protection against fire and much more. It is also influenced by the crime rate of a city, neighborhood, or municipality. Therefore, it is neither onerous nor unreasonable to spend on insurance for your home. Do not waste time, request a quote and compare estimates. At times, you may be eligible to save up to 50% with Max J. Pollack & Sons Insurance. Brooklyn property insurance is classified into four major categories; content, theft, natural disasters and extraordinary expenses. Contents insurance covers all the furniture you have, such as appliances, clothing, jewelry, artwork and so on. The theft policy only pays when it comes to robbery with violence, i.e., when the survey reveals that force was used. Lastly, natural disaster landlord insurance covers damage caused by earthquakes, hurricanes and floods, among others.